I basted this quilt top today. I have had mixed opinions about this top. Some people have positive things to say, others not so much. One Facebook comment said “wow this is really ugly” (just a helpful etiquette reminder…..if you don’t have anything nice to say don’t say anything). Because I have done so many very traditional quilts many people expect my choices to be always be very traditional. I could have used a solid color for the setting pieces in this quilt rather than the busy print and it would have been much more traditional, but it is a lot of fun to do things outside of tradition. Traditional quilts and quilting are the foundation of my quilting but when I make a new quilt I can’t simply make something that has been done a hundred times before, I need to make it my own. 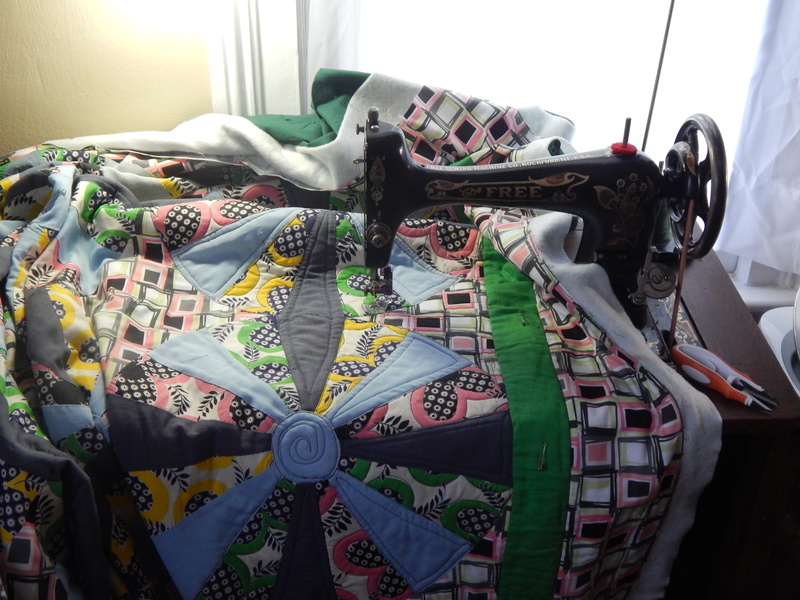 I make my quilts to please me…..if they appeal to others that is great and if not that is fine too. This one makes me happy. I got a start on the quilting. This entry was posted in Quilts and tagged hand quilting, Quilting, Quilts, vintage quilt blocks. Love seeing your progress on that beautiful hand quilted rose quilt. I like to zoom in and see your hand stitching up close. You do such great work. 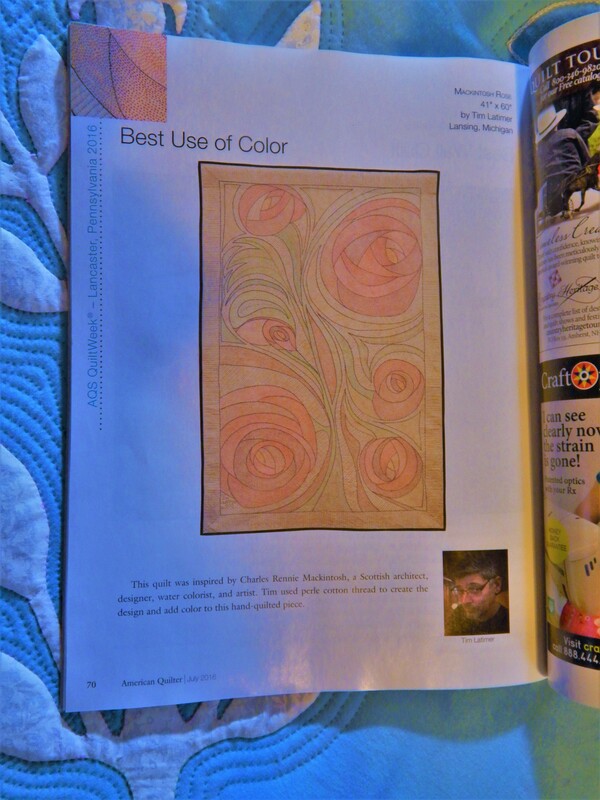 Congratulations on being featured in quilters newsletter magazine. What a great accomplishment! And I really like the quilt top you basted. It’s right up my alley. I assumed it was an entire vintage top that you had found someplace, so I think you have added the perfect background and border fabric to make it sing. To each his own, right!? Good thing Teddy’s there! Meant to mention how much I like the green inner border – it’s bold color just adds even more interest. Are you still planning to do big stitch in black? Congratulations on another publication of your work! Well deserved. You are making a lot of progress with your projects! Looks like another award winner in the works. We can’t make everyone happy. People who don’t hand quilt or look at the same quilts for enormous amounts of time ( quickly machine piece n send out to long armed n on with next top; which is fine!) don’t get that sometimes you need a fun, lighthearted, happy project. I am a traditional quilter at heart. Love the aspects of old blocks and tops like you, reproduction fabrics, hand piecing, machine (elec. n treadle), etc. however! I have been open minded enough to look and listen and absorb. Victoria Findlay Wolfe could have made this top! It’s incredible! What I mean is she mixes old with new and is totally a modern quilter. This is a great top! It’s art! It’s so now! Education is so important in all aspects of life. Allowing others and yourself to be free to create what makes you happy and feeds your soul is one of the best parts of art! So many live in a box where their opinion is the only one, or the only one that matters. It’s sad. I think they must not have had parents who nurtured their creative spirit and all that went into it. We all have that inner child within us, alive and well. For me, it’s coming out for its debut of the second half this year, as I’ll be 50 next May! Hooray! I was serious the first part of my life, I wish not so much, but it is my nature and I had bills to pay. We all have distractions and realities of it all, life. Yes, etiquette an important condiment at the table of life. It’s the perfume we wear, unseen but noticed after we are gone. It should be subtle graceful. We live in a difficult world. Our hobbies are our happy times an fewer treasured moments to create. Don’t steal someone’s joy because you don’t understand it. It’s art. Interpretations are endless. I actually love it. Looks very modern! But I got some very dirty looks at my local quilt shop when asked how I was going to use some Kaffe fabric I bought. I said it was going on the back of some vintage blocks I rescued and there was dead silence with some rolled eyes. I don’t care. It is actually perfect. Rock on! Cheryl ps. next time sic Teddy on them! I am familiar with the rolled eyes…LOL…but it bet it looks great! Tim, it’s hard to stomach it when people are so insensitive and rude. Good for you for doing what you like regardless of negative feedback. Obviously they have no idea what a talented person you are! I really enjoy reading your blog and despite the fact I don’t have a mechanical bone in my body, I am fascinated by your sewing machine rescues. Keep on being you! Well, I for one, love your quilt. 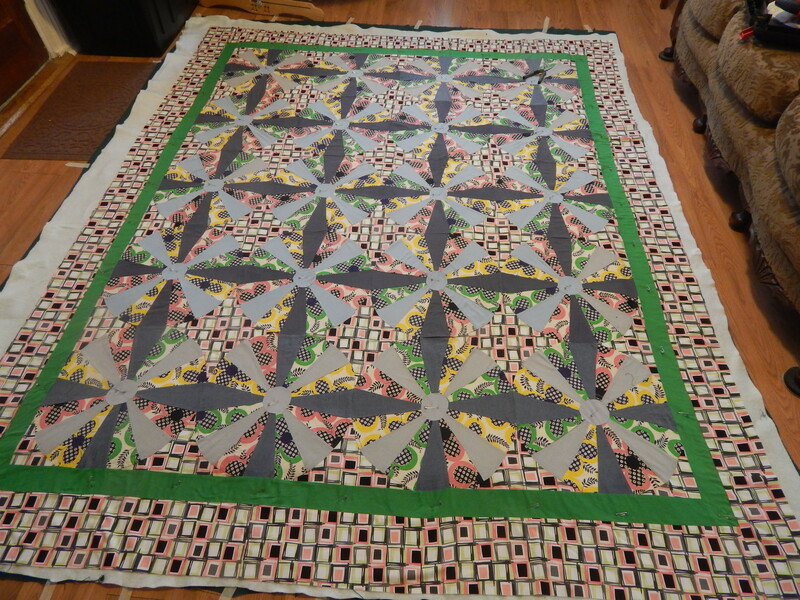 I always say that I’m 46 years old, and I’ll just make any quilt I want to…..lol. It will keep someone warm. Keep up the beautiful work! I actually love the sashing of your newest quilt to be quilted. Much better than the solids in my eyes. I love color and the 50’s to 70’s fabrics. So this is perfect for me. I actually have some churn dash blocks that I and some friends made and think I will trial some color and or print for a small sashing to set them. Will be fun to see if I like it that way. I (gasp) am even thinking to replace a few blocks on one or two corners to give more of the back ground fabric. 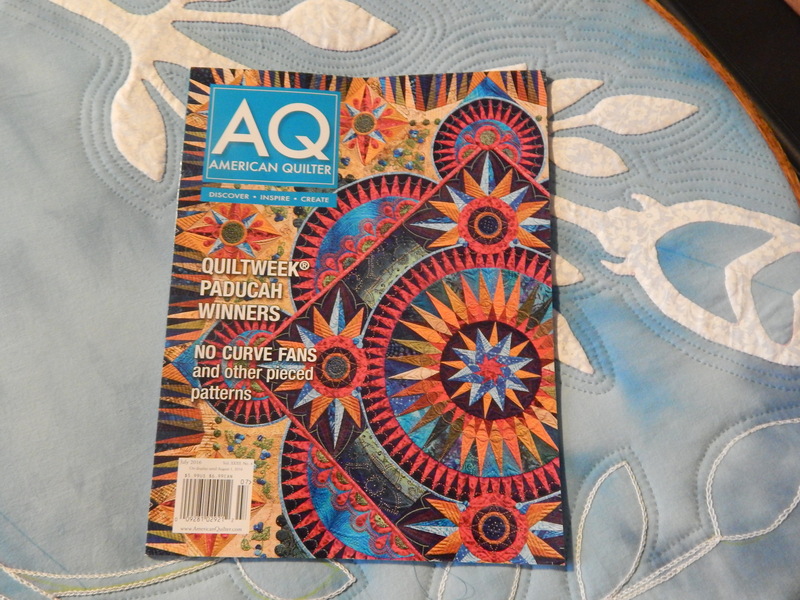 Mostly I am a fairly traditional quilter that likes color. Exciting to be in the magazine! Well done. 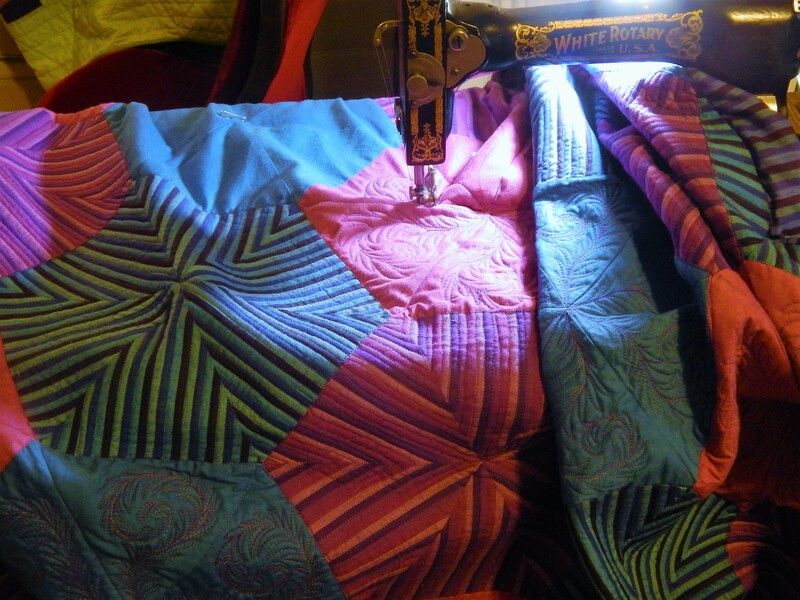 I love your fabric choice for your quilt ~ it’s interesting, quirky and has movement. Politeness – or even kindness – is something I feel society as a whole has lost. We sit very comfortably and anonymously in front of a computer screen and think it gives us the right to “speak our minds” without regard to the other person’s feelings. Many things are said on the computer that would never be said face to face. I’m sorry someone was so rude and unkind about something in which you invested time and creativity. It takes courage to blog and post pictures and put it all out there for others to comment on. I appreciate seeing all you accomplish, and I’ve learned a thing or two along the way. The quilting is going to make this quilt pop and sing! Good for you Tim. I really appreciate the way you communicate and I just love your blog. Keep doing what makes you happy. Renie L.
I loved the polka dot red/white as well. 😉 Congrats on the AQS quilt. Do enjoy your blog and projects. I really like this quilt. 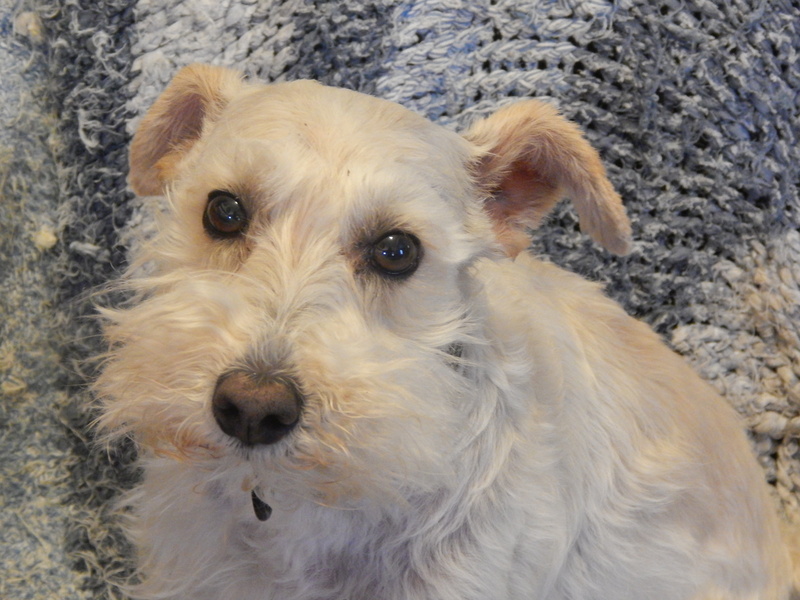 And I enjoy reading your blog and following the progress in your garden and seeing Teddy pose on the quilts. I can’t wait to see the quilting. I like the setting and border fabric, what is that? I have a old top that is set with similar fabric, which I think may be 1940s. I have rescued a number of old blocks, also old not-so- beaitiful tops. I can never believe how well they respond to hand quilting. Are you still intending to use black perle thread? Tell Teddy he is an excellent supervisor. I think the quilt is fantastic–it has such personality! Your quilting is off to a good start–I like what you’re doing with it! 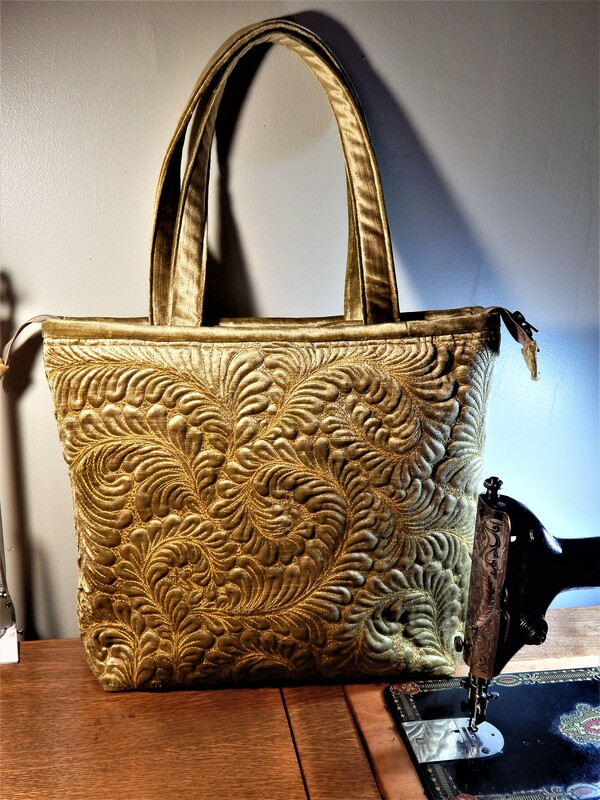 I have been reading your blog since your trunk show & lecture in Colorado! Well, I guess we can’t always expect everyone to like our work or fabric choices, but saying “that’s really ugly” is a little too blunt! I more tactful phrase might be, “Hmmm, what interesting colour choices…” LOL And I am sure Teddy would say, if he could, “Hey, ugly or not, it will still keep me warm and snug!” And that’s what a quilt is mostly about. My description of that quilt would be “lively, very lively!” I very much enjoy all your work. I love your color sense..you are quite adventurous and have a great “eye”. Those who don’t be jealous! Many people have no talent whatsoever for pairing fabrics. Congrats for the article..another great piece for your portfolio! who has only 3 school days left!!!!!!! thanks….and have a great vacation from school! Hi Tim, congratulations on your quilt being featured, this one is my favorite of all of your quilts that I have seen. 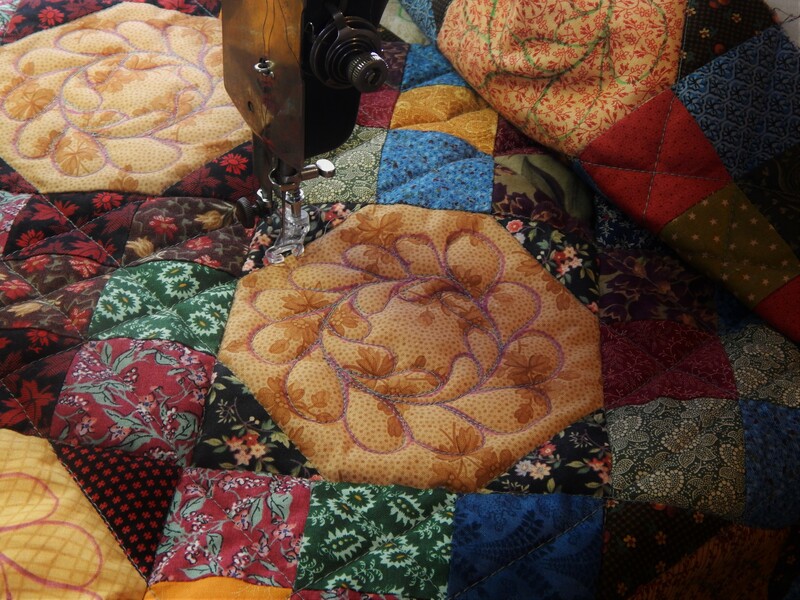 I do admire all of your quilts, gardening and the rehab you provide for all those beautiful old sewing machines. Have a great day! thanks! and wonderful news that you won an award!! Tim – plain and simple… You Rock!!!! The fabric in the quilt isn’t something I would pick for myself, but that doesn’t stop me from liking what you’ve done with it. I recently purchased a quilt top from a friend and the colors are NOT what I like at all, but the workmanship in the quilt is so awesome I had to have it and will love it forever. So glad you do what you do and share it with us! I have learned a lot and get so inspired and motivated by your blog. Thank You! Snuggles to Teddy. Tim–I’ve been quietly following you for years–why? Because you follow your inner artist and choose to make and do what pleases you. My credo in all things: aim for grace. Very different – and I love it. I’m with you, about making quilts our own! 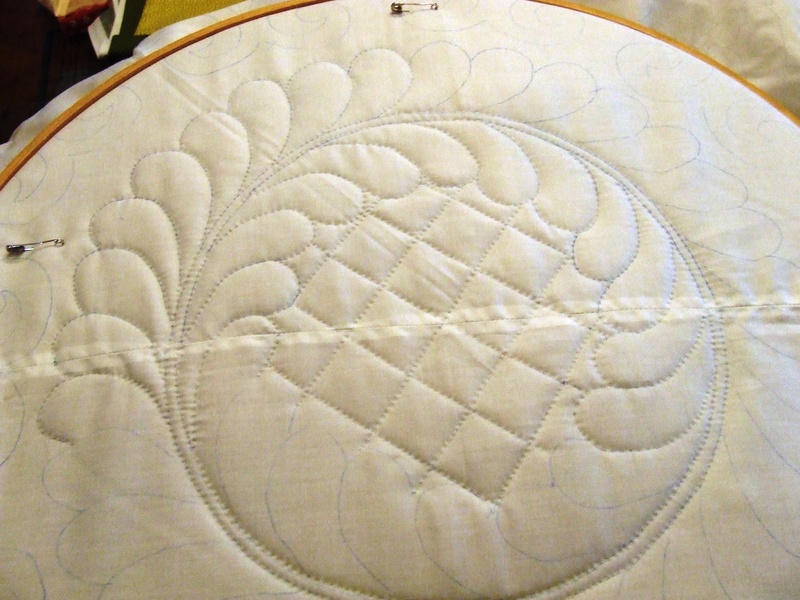 The fabric you chose really brings out the spokes in the wheel blocks and makes them the star of the quilt. I think you made a great choice. I agree wholeheartedly with what you said in your post, “If you don’t have something nice to say, don’t say anything at all.” Btw, I think your quilting is amazing and anyone who has ever tried to sew or quilt knows it. I wholeheartedly agree with all your positive remarks that you received on your quilts and quilting. I think everything you make and quilt is wonderful. I enjoy your machine finds and adore Teddy. My guy is getting groomed this week . I remember when you first posted about this quilt. I remember being a little confused with all the patterns and colors, but now that you have it put together with the green stripe and the new fabric background (pink boxes) used in the border too, I can’t imagine any better choice. It is exactly what the multicolored propellers needed! And so snazzy! If only the person who made the original blocks could see what you have done, they would be thrilled and delighted! What it comes down to, Tim, is trusting your instincts. They are always right! I am sure that Teddy agrees with me. And I have a question: I see the thread coming down to the needle in the machine you are using for quilting, but I don’t see the spool on top. Where do you keep your thread? I went into a quilt shop many years ago when I was very knew to quilting. I needed help working out how to calculate corner blocks and fabric requirements for the background blocks for dresden plates set on points in sashed blocks. I pulled out my little plates (about 7inch squares) and the woman actually went into a fit of the giggles, it took a short while to pull herself together while i wilted inside. She did however do the calculations for me and I got my fabric (no place else for me to go back then). I still have that quilt and I love it. I would like to have seen that woman handpiecing my teey tiny plates. I think many people are cowards and bullies these days, they can hide in cyberspace and spit their venom wherever they wish and there are no consequences for them really. Geting cut out of a group or blocked doesnt seem to have much affect they just move on and take their ugliness to share somewhere else. It says more about them than they people they try to bring down. Your awards speak for themselves Tim and hey that person who was so negative is not qualified to judge your work. Keep on quilting I love that you share your work and life with us. I find you inspirational in many ways and beyond your brilliant quilting. Give Teddy a hug for me..
wow….hard to imagine that person has a job in customer service! Happy quilting!